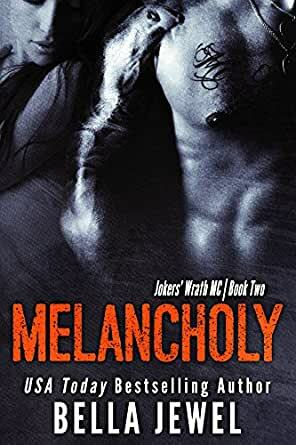 Maddox is the President of the Jokers' Wrath MC. He's hard, he's determined and he's never had to give his heart over…until the day he found and saved Santana. Sassy and head-strong, she's given him a run for his money for a solid five years. Their tension has built and both of them have danced around a passion that's burning so deep in their souls, it's all-consuming. They want each other - they're just too stubborn to admit it. Heat, lust and sassy natures will have them fighting against what's real. She's feisty, he's stubborn. But everything will change the moment she gets her first taste of the rugged, broody biker. There's one problem with this story...Maddox has a secret. Will their love withstand the battle? Or will Maddox lose the only girl he's loved, forever? 4.0 out of 5 starsHeadstrong men and women, bikes, fighting, recovery from addiction and a reunion. You know you're enjoying a book too much when you just want to slap some sense into the female character, Santana! Seriously if she has spent the last 4 years approximately involved in the biker world, and she has been instrumental in getting the President of a rival MC Club put in jail then hell yeah your life is in danger! Good book, well written, poor Maddox and Santana go through a lot to get their HEA. Best read in order as part of the series. 5.0 out of 5 starsNAILED IT!!! NAILED IT!!!!!! EVERY SINGLE BOOK this lady release's is gold! love her, love this series there was so much to live up to from the first book but hands down this is my fav, Maddox my god, I need him in my life and the love these two had for each other gave me butterflies in my tummy I can not wait to next month for Mack's story counting the days!! I feel like it's actually an insult to Bella Jewel to only give this book 5 stars for this review! Wow Maddox and Santana are the ultimate odd couple but they work. Amazing couple chemistry and such a great storyline makes this a terrific ride. Awesome work Bella. Love the series and am so wrapped that there is more to come. This book had me crying, laughing and everything else in between. Love your work!!!! members from his enemies. This is a great set of books well written by Bella jewel.